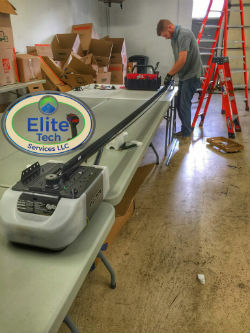 Elite Garage Door is a family owned and operated business. We are one of the leading garage door specialists serving the state of Utah. Our goal and mission are to deliver the best quality service to residents of the state and at a price that’s affordable. As a professional service, we never compromise on the quality of parts used or the professionals that work for us. Over the years we have garnered a reputation for offering a garage door repair and installation service that’s unlike any other. A long list of testimonials and positive reviews across an array of websites is a testament to the fact that we deliver on our promise. Elite Garage Door was founded back in 2004. We have been in business for more than a decade. Our services are insured, and our professionals certified. we are bonded and operated locally. We have not and do not have any plans on franchising our services or hiring subcontractors. As a family-owned business, most of the specialists are family. Those who are hired from outside of our family are specialists and are like family members. It is this idea of teamwork and bonding that has allowed us to offer an excellent quality service which is also cost effective. Every One of Our Technicians is Certified! 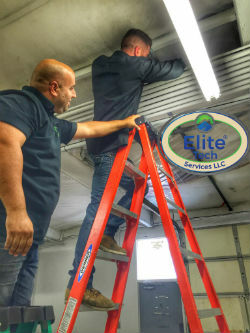 We have and continue to make sure that every one of our technicians is fully certified. Plus, we are one of the few services which are Google Guaranteed Providers. It means that we have passed a battery of tests put forth by Google, Home Advisor, and the IDA. So, you can be sure that the quality of our services is unsurpassed. 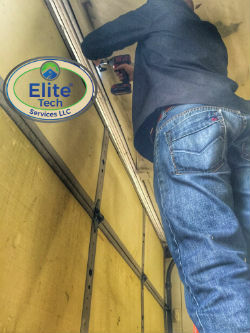 Elite Garage Door Services is really ‘elite.’ Unlike other services, we don’t take this word lightly. We live up to the term in every way possible and continue to improve almost every day. , as a professional service, we strive to ensure that every one of our employees is regularly updated with the latest technologies. We also invest heavily in the newest equipment. At the end of the day, all of this is done to ensure customer satisfaction which is priority no. 1. It is also the reason why we are so successful. We love doing what we do which is why we continue to be the very best. We are happy to serve you and help in every possible way. Whether your garage door is stuck, malfunctioning or you need a new garage door installed we love to hear from you. So, call us anytime, and our professionals will be at your service right away!